Beer | You can imagine where it goes from here. Beer! Beer! Beer! Tiddley Beer Beer Beer! 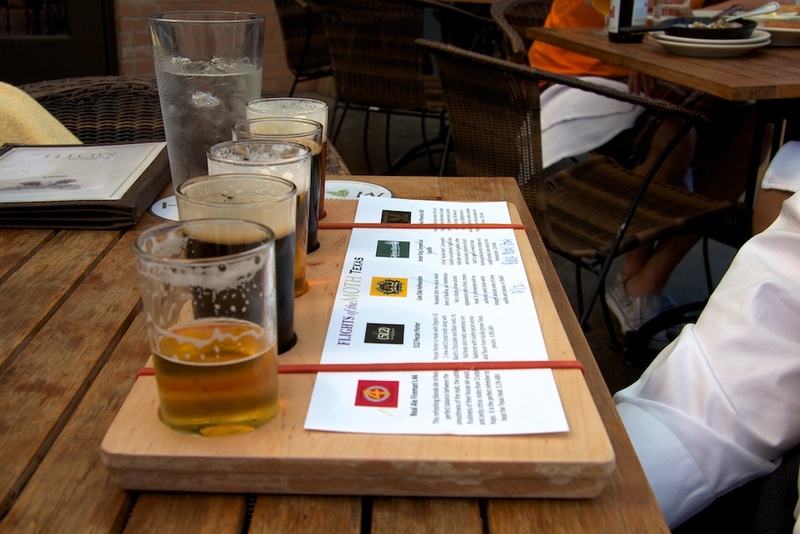 The Alchemist Brewery – Stop in for a taster. They only make one beer, Heady Topper, but its currently rated 100% on Beer Advocate and it was damn damn good. I wish I could get it in IL. He might be able to find some around Stowe too, but they can barely keep up with demand and appear to make sure they have some in the home office for tasters. We were staying at the Trapp Family Lodge, which has the Trapp Lager Brewery as part of it. Over the time we were there, I had one of each type they make. They were okay, the Dunkel was definitely my favorite. http://www.vermontbrewers.com/ is an excellent resource too and has a map of like 30+ breweries in vermont. If you think you’ll hit more than 4 breweries in vermont, you should really do the passport program that’s on the site. I wish I had found out about it at the start of my trip rather than the last day. 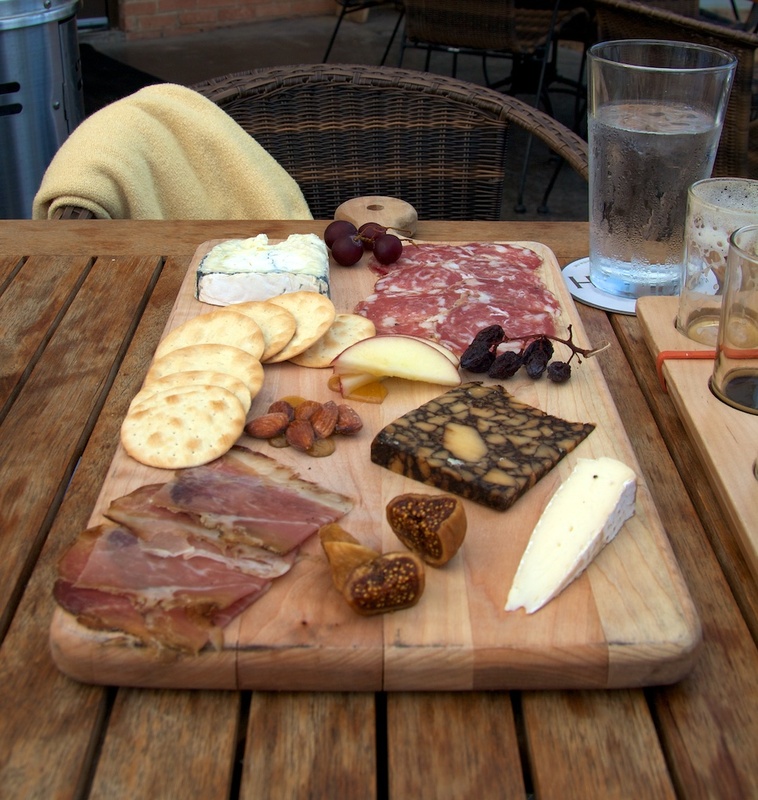 Crop Bistro & Brewery – this will get you a brewery AND a farm to table restaurant. Food and beer were pretty good. It’s fairly low key, and the bar in the dining room is gorgeous. They are known for their fried pickles and, having eaten them, its for good reason. Michael’s on the Hill – farm to table and chef owned. This was our “let’s have a really nice dinner because we have no kids” and it totally delivered. I did the “Gold Menu” and Sarah did the “Platinum Menu” and everything we ate was awesome. My dessert of “House Preserved Strawberry Milk Shake with Chocolate Ganache Donuts” was unbelievable. If you had to pick only one, and you don’t mind the higher cost, I’d go to Michael’s On The Hill. If we had gone there our first free night, we would have gone back the second night. We’ll definitely be back if we ever make it to the area. Today I went with some people to The Meddlesome Moth in Dallas. Its a damn shame I discovered this place on my last night here instead of my first, otherwise I would have just been there every day as much as possible. 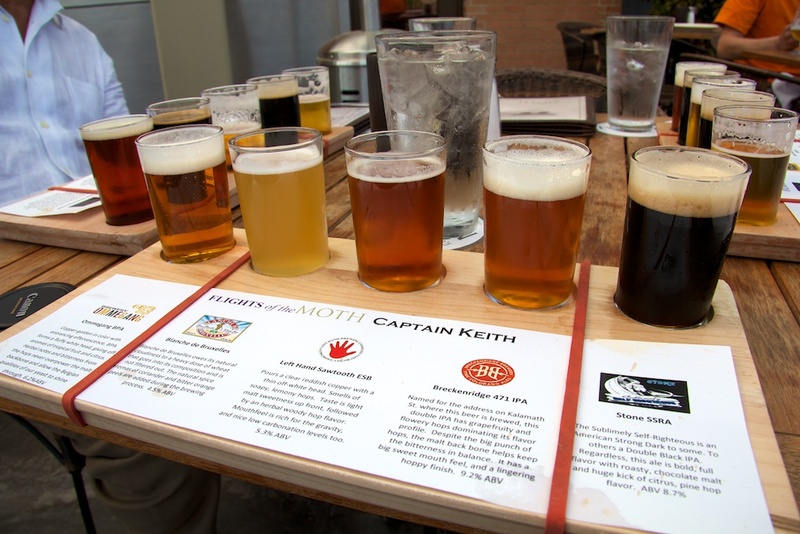 The image for today is of the first flight I ordered which was called “Captain Keith.” The flight is named after their Beer Guru Keith Schlabs, but I had to order it for obvious reasons. As a beer lover, the place is fantastic. The beer selection is large with 25 or so on tap and 100 or so for a selection of bottles. (I’m doing those numbers from memory, but if I’m wrong, I’m pretty close.) Keith Schlabs came out and talked to us for bit. They have contacts all over the country so they’ve got a lot of the great microbrews from Stone to Dogfish Head to Allagash to everything in between. They also work hard to represent great microbrews made in Texas. In fact, they have a flight of Texas beers which lead us to discover (512)’s Peacan Porter from Austin which tasted great and I consider the beer find of the day. Keith also shared they’ve been open for about a year and are really serious about exposing people to good beer. That’s something I can really get behind. It helps that their wait staff was also extremely knowledgeable about the beer they were serving and could make excellent suggestions. Also, in talking to the staff they were knowledge about about the beer world in general even if they don’t have it on the menu. I love that sign of passion about what they are doing. They also have an amazing menu which I think would make many foodies join the dance of joy the beer lovers were already doing. Since we were just snacking we had two small things: The Hungry Farmer, which was a fantastic cheese and meat plate, and the Sweet Fennel Meatballs, which were out of this world. If the rest of their food is even half as good as what we had you can do no wrong. As I mentioned on Twitter earlier today: If you love beer and you are in Dallas and you do not go to The Meddlesome Moth, I loath you. Bonus images because, hey, the place was that awesome and worth it. I’ve been sending a few days with my snowbird grandparents getting their DSL, etc set up. While at the store I wanted to get a lighter drink that is good for warmth. I ended up picking Hurrican Reef Raspberry Wheat Ale form the Florida Beer Company. Its pretty good, I’d drink more of it especially in warmer weather. It reminded me a bit of Sam Adam’s Cherry Wheat, but less sweet and Raspberry and not Cherry of course. I think it had to do with the finish pronouncing the flavor of the fruit. This evening Evo Terra and I got a chance to have some converstaion and beer at the Orlando Brewing company (on the suggestion of Charlie the Beer Guy.) It was a bit dicey looking from the outside, but inside it was filled with awesome from the beer to the wait staff. The beer was excellent and I highly recommend a visit. Just don’t be too scared off by the exterier and neighborhood. I saw this on the morning news on NBC 5 this morning. So I could share it here, I found Metra says so long to its rail saloons in the Trib’s online edition. Every weekday at 5:17 p.m., the bar car on Metra‘s Milwaukee District West line becomes the place where everybody knows your name and they’re always glad you came. With beer and wine cups in hand, a cast of characters that seems straight out of “Cheers” tries to make the daily commute home as merry as the sitcom. “It’s happy hour on the rails,” said Kevin McHone, 40, an information technology engineer from Gilberts and a bar car regular. I never took advantage of the bar cars, but I might have to this week before they are gone forever. I suppose you can still beer up in the station and bring it onboard, but something about buying in the bar car is different. There is an awesome bar in in Washington, D.C. called the Brickskeller. Its my kinda place. Hell, even their domain name is lovethebeer.com. They claim to have the world’s largest beer selection and it certainly looked like they did. Unfortunately, due to season rotation and popularity, some of what we tried to order wasn’t available. Inspired by the Wingin’ It beer photo stream and my visit to the Brickskeller last night, I’ve decided to start doing a similar thing here. I forgot to get a picture of the Orval Trappist Ale I had last night, but luckily, I can snag one off their web site. I also had an Oskar Blues Ten Fidy again, mostly because I thought I’d never get that awesomeness again. The guys at the table next to us suggested a Maredsous Dubbel or Triple. I went with the Dubbel. It was awesome. On a geek note, right now I’m just uploading this into wordpress. I’m not sold on using flickr, but I’m not sure why. Oskar Blues‘s Ten Fidy Imperial Stout may be the best stout I have ever had. Color, taste, texture… Awesomeness in A CAN! If you can get your hands on some, I highly recommend it. For a combined Father’s Day / Birthday gift, I got a Canon Powershot SD630. I call it mine, but I guess its the whole family’s. 🙂 We still have our Canon Powershot G3 and love it, but we wanted something small we could carry in a purse or backpack without it being too heavy. We definately have different uses for the two cameras. Anyway, the whole point is that I might do some more photoblogging than I used to. Especially the next few weeks while i’m in new toy mode. I went off to meet Nick at the House of Blues for lunch, on the way I saw this truck. 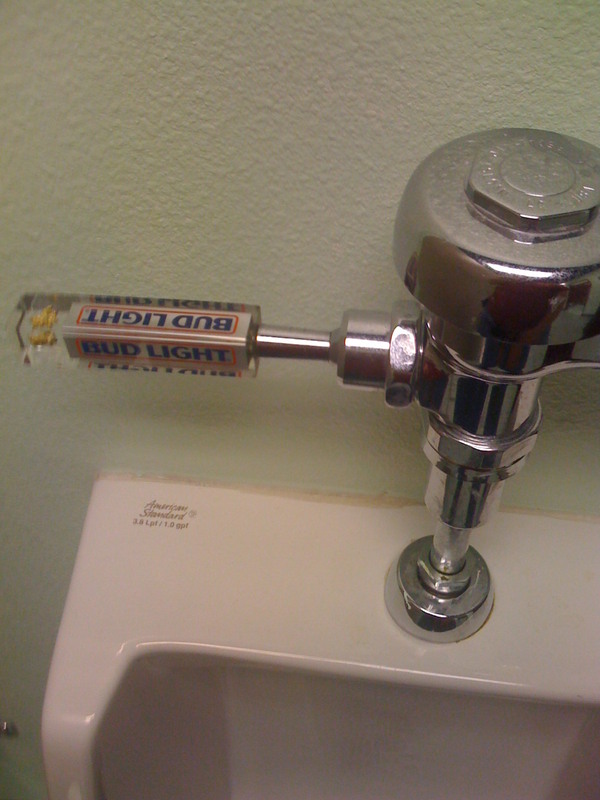 It made me damn thirsty, and its the whole point of me doing this post. You love the Red Sox, but have they ever loved you back? Last night, Sarah and I watched Fever Pitch. The movie was a light romantic comedy and was entertaining. It has Jimmy Fallon as an insane RedSox fan and his relationship with a woman and how the two mix and match, or don’t as the case may be. Anyway, a lot of the movie takes place in Fenway Park, among other baseball stadiums. I’m glad I saw this movie at home as the repeated scenes of people eating hot dogs and drinking beer got to me. I had to drink a beer while watching the movie. I’m still craving a hotdog, but I can solve that today at lunch.